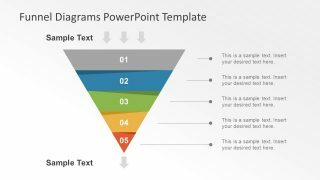 The Marketing Funnel Diagrams PowerPoint Template is a collection of amazing slides use in filtering stages such as sales processes. 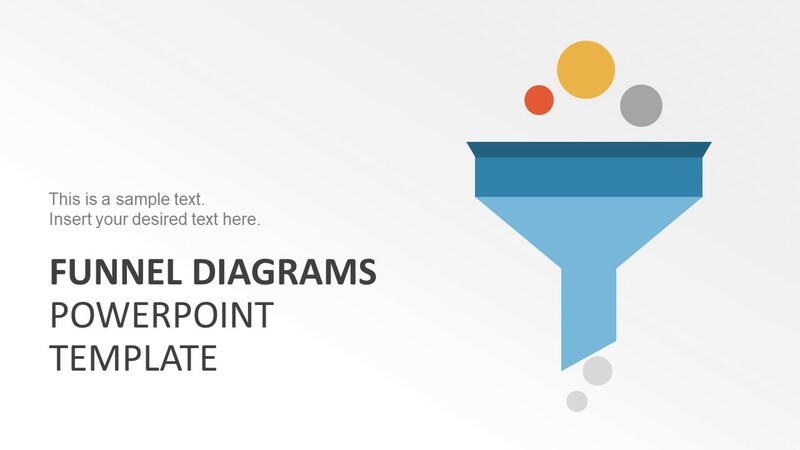 This PowerPoint contains nine exclusive designs of funnel diagrams. This diagram has now become useful in various business process models. 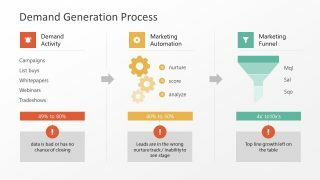 For example, sales, marketing, customer acquisition, lead generation, digital traffic on internet and more. The business specialists evaluate success by analyzing leads, sales and prospects using predefined values in pipe. It helps filtering out large amount of undesired data to the small accurate information. 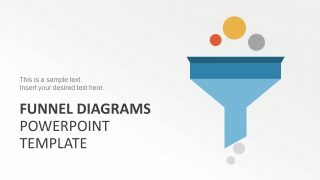 Present an awesome business analysis for complex processes using range of illustration designs. 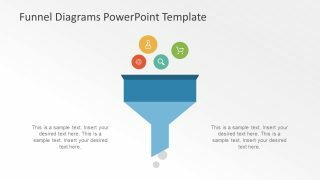 The 13-slide pack of Marketing Funnel Diagrams PowerPoint Template consist of colorful shapes to help describe data flow. 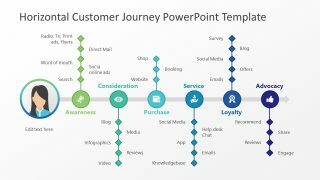 Using this presentation, users can show how information flows within organization. 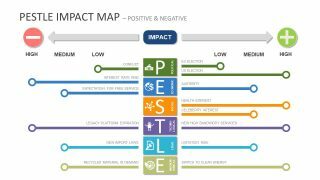 The first design shows a simple pipe diagram displaying input and output of values using creative icons. The next shapes display 5 stage process models with an incredible shadow effect to make the image appear inclining. 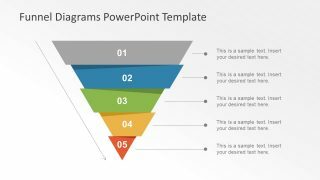 There are further images of four and three step funnel diagram template. 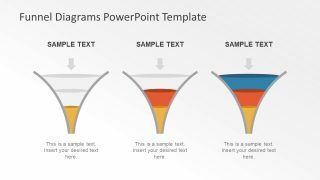 Additionally, there are more design versions of funnel to choose from. 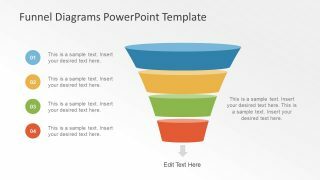 All the PowerPoint diagrams are 100% editable. 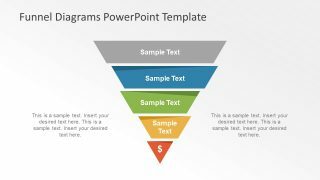 Therefore, the users can copy required template shapes or slides to use in already existing presentation. 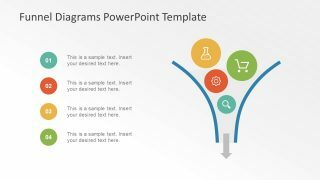 Moreover, create duplicates and customize multiple properties of PowerPoint. Such as, change color, size or alter style and effects. 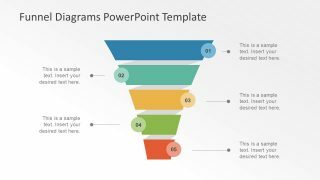 Alternatively, modify the size of levels in funnel. 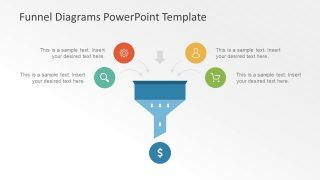 Prepare a professional looking analysis of sales leads. 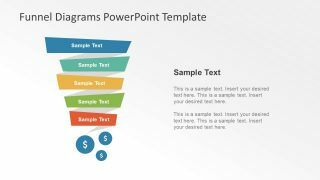 For instance, present a lead generation model using 4-step funnel in slide 11. 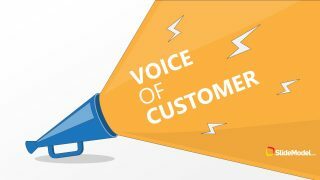 The process starts from pool of strangers to target customer specification, next create a plan to attract interested customer. 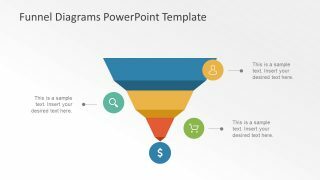 Lastly, pitch product or service and convert them into prospects. 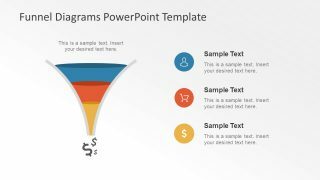 The funnel head inputs unfiltered data and outcome is refine and qualifying information through funnel neck.